Why choose Pro Clinics for Laser Tattoo Removal? Of all the various treatments that we currently offer, laser tattoo removal is by far and away the most popular procedure and is the treatment that we are the most renowned for. It’s our core business, so it is safe to say that we have a huge amount of experience when it comes to removing unwanted tattoos! At Pro. Clinics we remove more unwanted tattoos each year than any other clinic in the area and are renowned within the industry for the quality of service we offer and for the incredible results that we achieve. We have invested significantly in the equipment that we use, and to the best of our knowledge are the only clinic in Bristol and the South West that uses a picosecond laser. The picosecond laser is the gold standard when it comes to tattoo removal, and gives incredible results in fewer sessions when compared to lesser quality devices. It is not only the equipment that we use that sets us apart from the competition though. 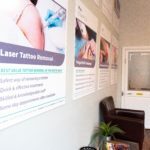 The quality of service that we offer before, during and after your treatment is unrivalled and we always go the extra mile to ensure that you achieve the best possible results following your laser tattoo removal treatment. Our prices are another factor that sets us apart, as we work incredibly hard to keep them as low as possible. We firmly believe in offering exceptional service at an affordable price. Per treatment – £60 for the 1st sq inch and £10 for each additional sq inch. We are currently running a special offer of 50% off, so prices starting from just £30 per session! We’re based in Central Bristol, just off the Clifton Triangle. Which makes us the perfect choice for a lunchtime appointment. Our address is 7 Byron Place, Clifton Triangle, Bristol, BS8 1JT. Just opposite is the NCP West End car park with plenty of spaces if you need to drive to us. You are likely to have lots of questions regarding the procedure, our clinic and any aftercare needed so we’ve put together the following questions and answers top help you. If you have a question not on this list please feel free to get in touch and we’ll be happy to help. Laser tattoo removal is a method of removing unwanted tattoos through the use of a specialist laser. In order to understand how laser tattoo removal works, it is important to first understand why tattoo ink stays in the body after the tattoo artist has finished injecting the ink. When you have a tattoo etched onto your skin, the particles of ink that are injected are too large for the body to break down and destroy, so instead it encapsulates and suspends the particles of ink within a complex network of collagen fibres. These particles of ink will remain permanently visible, although will usually start to fade over time. 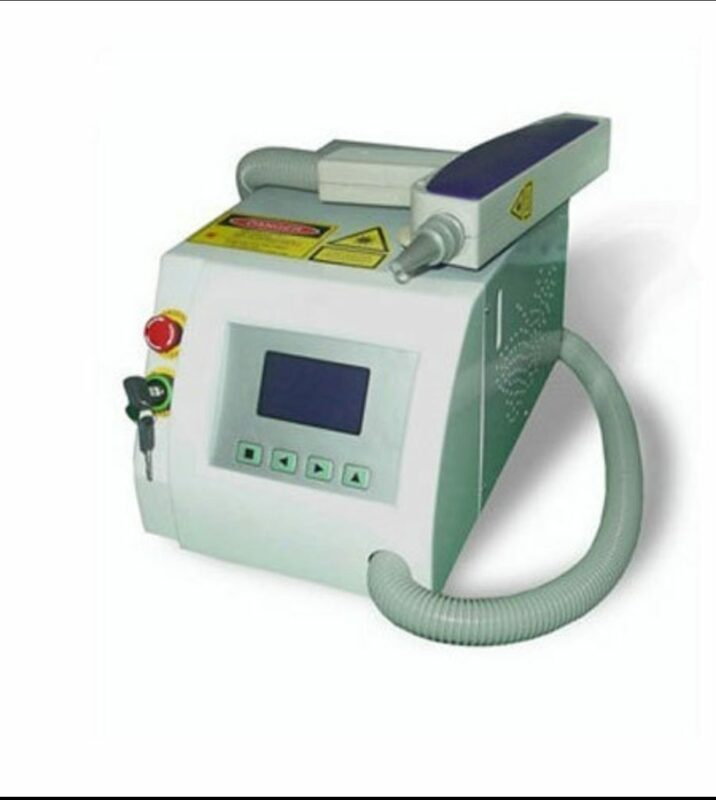 Laser tattoo removal is most commonly performed using a Q-switched Neodymium: Yttrium Aluminium Garnet (Nd: YAG) laser, that breaks down the ink particles of the tattoo into minute pieces. The small particles of ink are then easily absorbed and flushed away by the body; replicating the natural fading that time or sun exposure would often create. All tattoo colours have specific light absorption spectra. The laser used for tattoo removal must be capable of emitting adequate energy within the given absorption spectrum of the pigment to provide a fully effective treatment. Certain tattoo pigments (colours), such as yellows, greens and fluorescent inks are far more difficult to treat than darker colours, such as blacks and blues. Laser tattoo removal is an incredibly safe and effective method of removing unwanted tattoos. The technology used to remove tattoos has been around for many years now and has been developed to such an extent that the treatment is considered to be highly safe and effective. People often ask about the possibility of scaring. It is highly unlikely that the laser itself would cause scarring. However, scarring can happen during the process, although this is often down to incorrect aftercare. At Pro. Clinics, we will give you comprehensive aftercare advice, which if followed will minimize the risks to scarring. This is an important question for many people and one that we get asked time and time again. The short answer is no, laser tattoo removal does not cause cancer and there is no evidence anywhere to suggest otherwise. Laser tattoo removal is very safe, as the lasers used for tattoo removal do not emit UV rays, which can increase the risk of skin cancer. World health organisations, as well as medical professionals, are united in their opinion that laser tattoo removal does not cause skin cancer, or increase the risk of cancer. Other answers on the HealthTap website go on to mention that there is no data linking the two and there is no reason why skin cancer might occur following a course of laser tattoo removal treatment. Can You Have Tattoo Removal When Pregnant? This is another common question that we are often asked by women who are pregnant or trying to become pregnant, as they are unsure about the risks associated with laser tattoo removal during pregnancy. The short answer to this question is that the risk to the baby’s health with laser tattoo removal is very low and there is no research to suggest that there is a risk. That said, there are a few reasons that we have mentioned below that mean Pro. Clinics will not carry out laser tattoo removal on pregnant women, or women who are breastfeeding. The Risks Of Laser Tattoo Removal During / After Pregnancy. During a course of laser tattoo removal, the risk of infection is usually extremely low. With that said, everybody is different and responds differently. During or after the process your skin may blister or bleed and if this does happen there is obviously a risk of infection. If your tattoo does become infected after treatment, it is essential that you seek medical aid from your GP as soon as possible. Another risk factor to take into consideration during pregnancy is photosensitivity. During pregnancy, the skin becomes far more sensitive to light and is, therefore, more likely to react to the laser light that is used for the tattoo removal process. There is an increased risk of scarring and pigmentations on photosensitive skin, so this is one of the reasons that Pro. 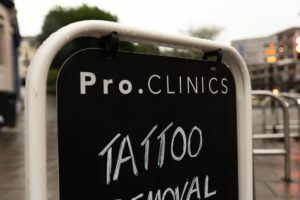 Clinics will not treat a pregnant woman for tattoo removal. Breastfeeding is also another factor. Although there is not a huge amount of research on the subject, the ink that is used for the tattoo is also worth noting. The way that laser tattoo removal works is by breaking down the ink particles into tiny pieces, which are then removed by the immune system. When this process happens, there is a chance that the tiny ink particles may enter into the mother’s breast milk and could, therefore, be ingested by the baby. This is another reason why Pro Clinics will not treat pregnant or breastfeeding mothers. We hope that this section has been useful and in summary, we advise women to delay their laser tattoo removal treatment until after the pregnancy and after they have finished breastfeeding. Although laser tattoo removal is a very safe process, we feel that it is safer to err on the side of caution where babies are concerned, as you and your baby’s health are far more important than rushing to remove an unwanted tattoo. Is It Possible To Remove Any Colour Tattoo? Removing unwanted tattoos by laser is by far the most popular and reliable way of doing so, although it is worth bearing in mind that even though laser tattoo removal technology has come a long way over the years, certain ink colours are harder to remove than others. Although often surprising for people to discover, generally speaking, the darker the ink colour is, the easier it is to remove, with black and grey being the easiest. That said, although black ink is considered the easiest to remove, it is worth noting that there are thousands of different black inks out there and some respond to laser treatment far better than others. The only way of finding this out, however, is to actually start the treatment. Some colours are notoriously difficult to remove, such as light blue, yellow, and green. White ink is impossible to remove using laser. The history of tattoo removal is as old as tattoos themselves. For years, people have tried various crude and painful methods to remove unwanted tattoos. Amazingly, some of these methods mentioned below are still in use today. Salabrasion and Dermabrasion are the oldest tattoo removal methods that are still in use today. This method of tattoo removal involves the use of abrasion of the epidermis and dermis using a salt-based solution. Dermabrasion is very similar except for the fact that it uses a mechanical method that consists of the abrasion of the epidermis and dermis with a rotating mechanical instrument. Both salabrasion and dermabrasion are very painful methods of tattoo removal, and usually, cause visible long-term scarring. Another method is skin excision, which refers to the surgical removal of the tattooed skin. Again, this method leaves a permanent scar, which can vary in size depending on the size of the tattoo that has been cut out. Excision can be a quick (but expensive) method of removing small tattoos, but is somewhat difficult or often impossible for larger tattoos. Injections of glycolic acid-based solutions or other liquid solutions involve injecting these solutions under the skin, so that they may break down the ink of the tattoo. These solutions often have a negative effect on the epidermis and dermis and often leave long-term scarring. It is also worth noting that the effectiveness of this method is not medically proven. Many people have heard of tattoo removal cream, which may be very attractive due to its low cost and perceived ease of use. However, it is extremely difficult to remove ink with a cream and this method will often result in scarring. So in summary laser is the most effective method for removing unwanted tattoos. This is an interesting question and one which has a number of different answers. For a start, the colour of ink contained in the tattoo will play a part (the darker the ink, the easier it is to remove), so if your tattoo is predominantly light green and blue, it would be very difficult to remove using a laser. Also as previously mentioned, if you are pregnant or breastfeeding, laser tattoo removal would not be suitable for you. Skin tone also plays a part, as people with darker skin are much more susceptible to hyperpigmentation meaning the area that is lasered becomes lighter. At Pro. Clinics, we offer a free initial consultation and test patch to assess an individual’s suitability and will only carry on with the treatment if we feel it is the best option for you. What Is Involved In A Laser Tattoo Removal Treatment? Laser tattoo removal is a surprisingly quick and easy process. Firstly, we will carry out a thorough consultation and test patch to assess your suitability. If you are happy to proceed, we will then start the process. On average, a tattoo removal session takes anywhere from ten seconds for a small tattoo to around twenty minutes for a larger piece. After the session has finished, we will dress the tattoo with a sterile dressing and advise you on the correct aftercare protocol. We will then schedule your next appointment for around six weeks later. This is the number one question that we are asked when people make an initial inquiry. Unfortunately, there is no easy answer, as the number of sessions required varies considerably from person-to-person. There are many factors to take into consideration when assessing the number of sessions someone is likely to require, such as age of tattoo (the older the ink the easier it is to remove), type of ink used, colour of ink (coloured ink is harder to remove), location of the tattoo on the body (the closer to the heart the quicker the tattoo will fade) and the individual’s lifestyle and immune system (a fit and active person with a healthy immune system is likely to heal better than someone who is a heavy drinker and smoker, for example). As a general rule, a simple black tattoo can take anywhere from 5 – 12 sessions. 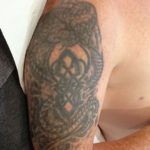 Be wary of any clinic that tells you that they will remove your tattoo in fewer sessions, as there is a good chance that they are lying to you simply to secure your custom. At Pro. Clinics, we are very clear right from the word go that laser tattoo removal is a long and slow process! In many cases, once you have completed your full course of laser treatments, the ink will be completely gone. That said, everyone responds differently and some people respond better than others. Some people may be left with a faint shadow (often called ‘ghosting’) where the tattoo used to be, although with time this will often fade further still. Time is a major factor of tattoo removal and the longer you can leave between sessions the better. As previously mentioned, at Pro. Clinics we work incredibly hard to keep our prices down so that laser tattoo removal is a viable option for everyone, not just the lucky few. We are fully aware that we could charge a lot more for our services, but prefer to offer a quality service at an affordable price. Our prices start from just £30 per session for a small tattoo, which is less than half the price of our competitors! We also offer further discounts for larger or multiple tattoos, as we are aware that if we try and charge too much the process will simply become unaffordable for people. We offer instant quotes via WhatsApp and email, so please feel free to get in touch if you would like an estimate to remove your specific tattoo. Does Insurance Cover Tattoo Removal? Tattoo removal is a personal choice and is considered a cosmetic procedure, therefore most insurance companies will not cover the treatment unless it is a medical necessity. Can You Have Tattoos Removed On The NHS? In short, probably not. As tattoo removal is considered a cosmetic procedure, it would not be covered by the NHS. There may be very rare circumstances whereby a doctor feels that the tattoo is causing the patient undue psychological distress. In this case, the patient would need to be referred to a specialist clinical commissioning group and a thorough physiological assessment would need to be carried out. This is another question that we get asked on a daily basis. At Pro. Clinics we like to tell it like it is, so will answer this question as accurately as we can. Yes, it hurts! Many people have read up on laser tattoo removal on the internet and we often hear people saying that they’ve heard it feels like an elastic band being flicked repeatedly onto the skin. A more accurate description is that the process feels like having hot fat splashed onto the skin. Luckily the process is usually over very quickly, so most people are fine with the pain. If you’re not feeling brave, you can try using a numbing cream prior to your appointment, such as Emla. Remember to apply the cream at least two hours prior to your appointment though in order for it to take full effect. Lasers are very safe and effective at removing tattoos and will not usually cause any scarring. However, scarring can happen if the correct aftercare guidelines are not carefully followed. If the tattoo is on an area of the body that has clothes rubbing against it (feet for example) extra care must be taken to ensure that a sterile dressing is used to cover the tattoo until it is healed. Are There Any Other Side Effects Of Laser Tattoo Removal? Blistering – Perfectly normal and will generally heal themselves within a couple of weeks. Scabbing – Again a perfectly normal reaction following a session. Always allow the scabs to fall off naturally and do not pick them as this could lead to scarring. Swelling – Your body does not particularly enjoy being lasered, so swelling is a perfectly normal reaction after treatment, as it is your body’s way of dealing with the trauma of the laser. Itching – This is one of the biggest discomforts that people mention to us after having a treatment. Although not pleasant, it is a good sign as it shows that your body’s immune system is working hard to heal the treated area. Just make sure not to itch or scratch the area as this could lead to scarring. Scarring – This is very rare as laser tattoo removal is a very safe and proven method of removing unwanted tattoos. Scarring is usually down to poor aftercare, such as picking scabs, or allowing the treated area to rub on clothing, etc. Products such as Bio-Oil can greatly help if the area is starting to scar. Infection – Again, this is very rare, but can happen if the treated area is not cared for correctly following your treatment. If the area does become infected, it is important to contact your GP immediately, as a course of antibiotics may be required. 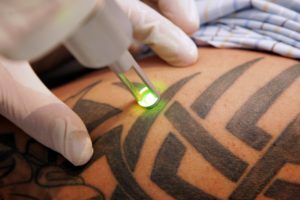 Even though there are several possible side effects related to laser tattoo removal, the vast majority of issues mentioned are uncommon with most people, and if problems do occur, the majority of them are treatable. If you remember to follow the advice that your clinician provides before and after the procedure, you will help to minimise the risk of suffering from side effects. Can Tattoo Removal Make You Sick? No, there is no evidence to suggest that laser tattoo removal can make you sick. Sadly, not everyone is an ideal candidate for laser tattoo removal. Tattoo removal is far more difficult in patients who have a darker skin tone based on laser physics and the way that the laser works. The laser targets pigment that is contained in the ink, but at the same time, it can also target the melanin in your skin and the darker the skin, the more melanin there is. So, unfortunately, the darker your skin tone, the more complicated it is to remove the ink and in some cases laser tattoo removal can even cause burns and hyperpigmentation in darker skin tones. 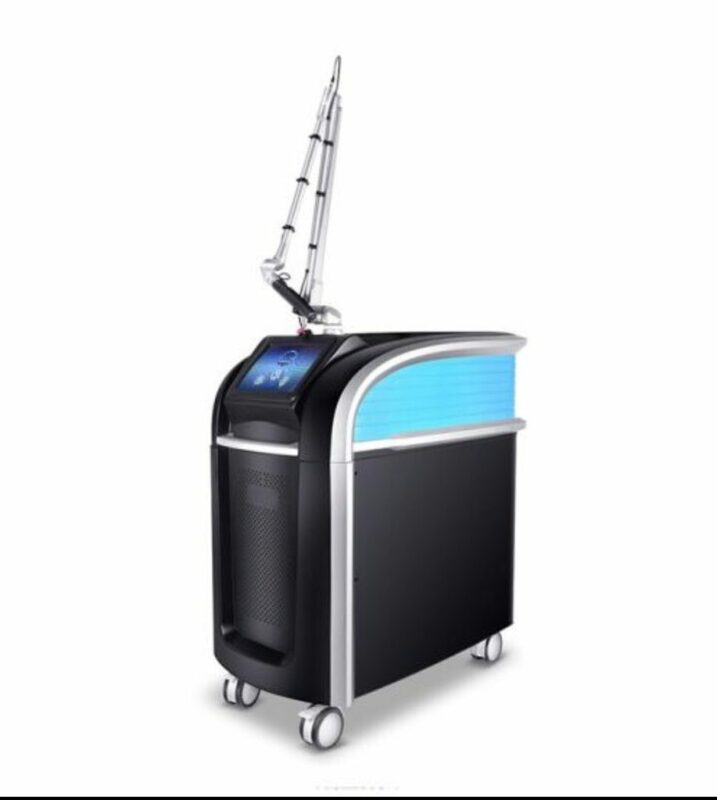 What Is Needed For Laser Tattoo Removal Post-Treatment Care? Do avoid wearing restrictive clothing. Do avoid excessive friction of the treated area. Do avoid any activity that puts you at risk of causing trauma or friction to the treated area. Do keep the area covered with a sterile dressing if there are blisters, or if the area is rubbing on clothes or shoes. Do avoid applying creams, moisturisers, makeup, perfume or body lotions to the area that has been treated. Do avoid hot baths following your treatment. Do avoid saunas, steam rooms and jacuzzis. Do avoid swimming as the chemicals in the pool may cause a skin reaction or infection. Do wash the area gently with soap and water but do not soak for too long. Don’t shave the area that has been treated. Don’t rub or scratch the treated area as this could cause scarring. Don’t expose the treated area to bright sunlight/sun beds, as this can activate the melanin in your skin and can lead to pigmentation issues. At Pro. Clinics, we recommend that you continue to follow these instructions until you feel confident that the treated area has healed sufficiently and the blistering/scabbing has subsided. What is the laser tattoo removal healing process? The healing process varies from person-to-person, as everyone responds differently to the treatment. You may find that the area is fully healed after just a few days, although sometimes it may take several weeks for the area to fully heal. Can you exercise after tattoo removal? At Pro. Clinics, we always advise patients to avoid excessive exercise for at least 48 hours following treatment. This is to allow your body time to begin the healing process. Can you tattoo over a removed tattoo? Yes you can. We see many clients who simply wish to fade a tattoo, in order for a new design to be tattooed in its place. I want to fade my tattoo so that I can have a new design. How many treatments will I need? This is impossible to answer, as everyone responds differently to laser tattoo removal. One or two sessions may be enough, but you could need more. Are any of the myths about tattoo removal true? There are many myths surrounding laser tattoo removal, such as, ‘Do any tattoo removal creams work?’ No, sadly they don’t. And ‘I’ve had my tattoo done recently. Is it easier to remove?’ Again sadly not, in fact, the fresher the tattoo, the harder it is to remove. Save +44 7760 160 091 to your phone. Go to the 'chat' section of Whatsapp. Send a picture of tattoo for an instant quote.